The Bridges Federation | What a talented team! 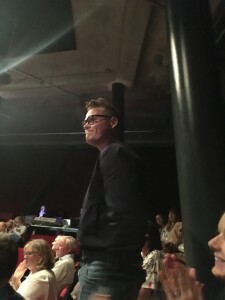 You are here: Home / Latest News / Latest news / What a talented team! We are delighted to share with you some exciting news! 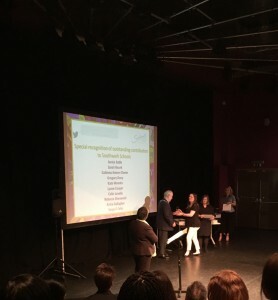 Last night at the Southwark Excellence Teaching award ceremony, three of our talented staff members were nominated for special awards. 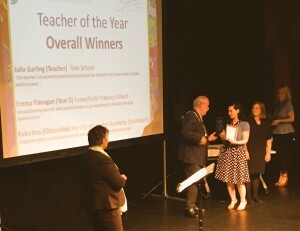 Well done to Richard our year 6 teacher at Snowsfields for being nominated for the Teacher of the Year Award. 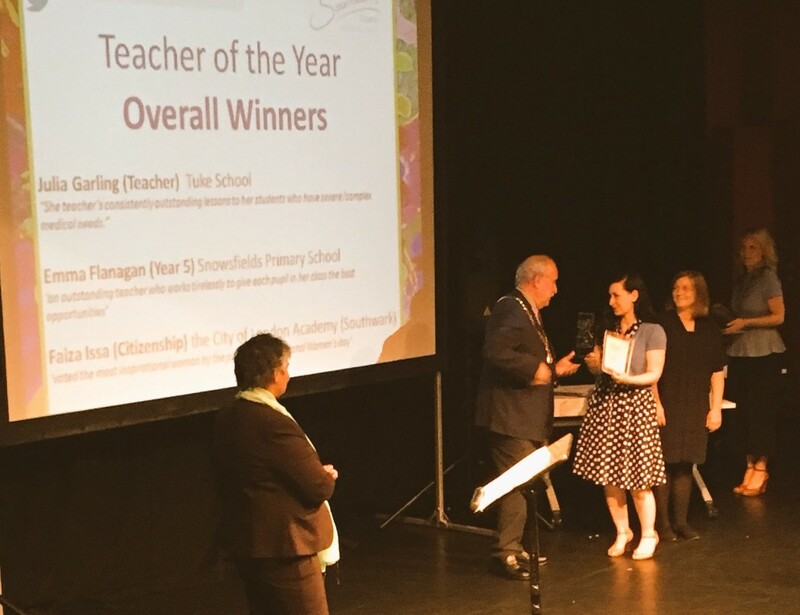 We were really proud of Emma our year 5 teacher at Snowsfields who received the Teacher of the Year Award. 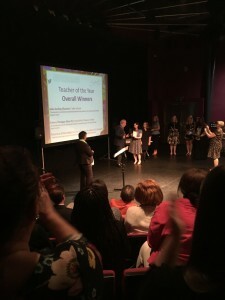 Our Executive Head Kate received the Special Recognition Award for Services to Southwark schools. Our children are really lucky to have such committed, creative and simply brilliant educators! We do love to be beside the seaside! Y2: Sunny Southend!